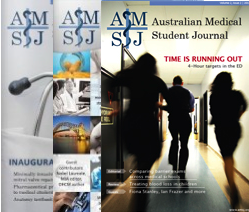 Stephanie Sargent is a fourth year medical student at James Cook University. Prior to her admission, she completed a Bachelor of Biomedical Science at the University of the Sunshine Coast. Cannabis is a promising therapeutic agent, which may be particularly beneficial in providing adequate analgesia to patients with neuropathic pain intractable to typical pharmacotherapy. Cannabinoids are the lipid-soluble compounds that mediate the analgesic effects associated with cannabis by interacting with the endogenous cannabinoid receptors CB1 and CB2, which are distributed along neurons associated with pain transmission. From the 60 different cannabinoids that can be found in cannabis plants, delta-9 tetrahydrocannabinol (THC) and cannabidiol are the most important in regards to analgesic properties. Whilst cannabinoids are effective in providing diminished pain responses, their therapeutic use is limited due to psychotropic side effects via interaction with CB1, which may lead to cannabis dependence. Cannabinoid ligands also interact with glycine receptors, selectively to CB2 receptors, and act synergistically with opioids and non-steroidal anti-inflammatory drugs (NSAIDs) to attenuate pain signals. This may be of therapeutic potential due to the lack of psychotropic effects produced. Clinical trials of cannabinoids in neuropathic pain have shown efficacy in providing analgesia; however, the small number of participants involved in these trials has greatly limited their significance. 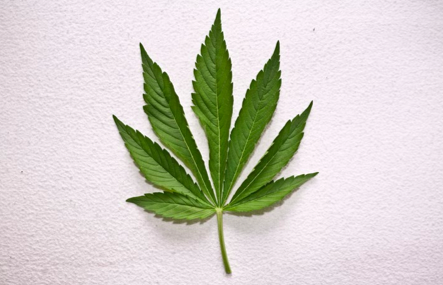 Although the medicinal use of cannabis is legal in Canada and some parts of the United States, its use as a therapeutic agent in Australia is not permitted. This paper will review the role cannabinoids play in providing analgesia, the pharmacokinetics associated with various routes of administration and dependence issues that may arise from its use. Although the analgesic properties of cannabis could be beneficial in treating neuropathic pain, the use of cannabis in Australia is a controversial, widely debated subject. The issue of dependence to cannabis arising from medicinal cannabis use is of concern to both medical and legal authorities. This review aims to discuss the pharmacology of cannabinoids as it relates to analgesia, and also the dependence issues that may arise from the use of cannabis. Cannabis contains over 60 cannabinoids, with THC being the quintessential mediator of analgesia and the only psychoactive constituent found in cannabis plants. Another cannabinoid, cannabidiol, also has analgesic properties; however, instead of interacting with cannabinoid receptors, its analgesic properties are attributed to inhibition of anandamide degradation. Anandamide is the most abundant endogenous cannabinoid in the CNS and acts as an agonist at cannabinoid receptors. By inhibiting the breakdown of anandamide, its time in the synapse is prolonged and its analgesic effects are perpetuated. Cannabis appears to be an effective analgesic and provides an alternative to analgesic pharmacotherapies currently in use for the treatment of neuropathic pain. Cannabis may be of particular use in neuropathic pain that is intractable to other pharmacotherapy. The issue of dependence and adverse side effects including short term memory impairment, mental health problems and if smoked, respiratory diseases arising from medicinal cannabis use is a highly debated topic and more research needs to be undertaken. The ability of cannabinoids to modulate pain transmission by enhancing the activity of descending inhibitory pathways and acting as a synergist to opioids and NSAIDs is important as it may decrease the therapeutic doses of opioids and NSAIDs required, thus decreasing the likelihood of side effects. The possibility of a cannabinoid-derived compound with analgesic properties free of psychotropic effects is quite appealing, and its discovery could potentially lead to a less controversial and more suitable analgesic in the future.